Are you new to the whole online gambling experience? If so, getting started might seem a little daunting. But the good news is that playing at online casinos is actually a simple process that anyone can master in no time. That's why we've created this beginner's guide to online casinos. If you were looking for one page that will get you up to speed on how to gamble on the Internet, this is it. Most online casinos offer several hundred games to play, ranging from classic such as blackjack, to new variations such as multi-ball roulette. You don't have to play for real money. All online casinos offer the opportunity to play for free and get used to games. Most online casinos offer a wide range of banking options, allowing you to choose how you get your money into, and out of, a site. Welcome bonuses are real. Yes, an online casino really will reward you for signing up and playing. Liver dealer games give you an experience that is as close to a regular casino as possible, without you having to get in the car and drive to one. If you're looking to play at an online casino, you're going to need the software that will bring the games to your computer. This starts by choosing a gambling site you want to play at. There are hundreds of safe and secure casino sites available to you in New Zealand, and we think we've recommended the best of the bunch for you here. Once you're on the casino website, you'll probably see a couple of different options for playing there. First, there may be a downloadable software client that you can install to your computer. These programs are usually designed to be used on Windows computers, though there are certainly workarounds that will allow you to use them on other operating systems (such as using Boot Camp to run a Mac in Windows mode, or emulation software like Wine for Linux users). There will likely also be a second kind of software known as "instant play". This version of the software is browser-based, allowing you to play your favourite casino games through your web browser. This version of the software is perfect for those who use operating systems other than Windows, as well as those who don't want to install casino software onto their computers (or want to play on someone else's computer). While it's often said that this version of the software may have fewer games than the downloadable software, but in the modern online casino landscape, these differences are usually minimal. Once you have software, you'll have the opportunity to play in the casino. However, you'll first need to make an account. The account creation process is free and usually required in order to try the games in the casino. You'll simply supply your name, address, and phone number, choose a user name and password, and then it's time to get started. Online gambling is safe and secure as long as you stick to trusted sites. 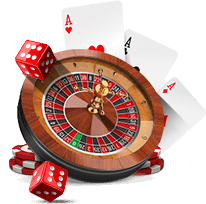 The specifics of the casino interface will depend on the type of software you're using, as well as which casino you've chosen to play at. However, there are some general tips we can give you to help you find what you're looking for. Slots: This will be the casino's collection of pokies (usually called slots in most of the world, which explains the name). You may further be able to specify the kinds of pokies you're looking for by deciding between three and five-reel games, or by singling out machines that have progressive jackpots or other features. Table Games: This encompasses all of the games that take place at tables in a land-based casino. This includes blackjack, craps, roulette, and baccarat, as well as variants like Pontoon and proprietary games like Three Card Poker. It's worth noting that traditional poker (in other words, poker played against other people at a table, like Texas Hold'em or Seven Card Stud) is not included under table games in most cases; if your casino has an associated poker room, it will be listed separately. Video Poker: This is the area where you'll find (of course) the video poker machines. Most online casinos offer you a number of different video poker games like Jacks or Better and Deuces Wild. You may also be able to play each game in either single-hand or multi-handed versions. Specialty Games: This category has various names at different casinos, though "specialty" is a common one. This pretty much covers everything that doesn't fit into one of the above categories, including popular games like keno and scratch cards. This will often also include games such as bingo-based games, virtual horse racing, and other simple games that may appeal to casual gamblers. While you can play for free for as long as you like at online casinos, you'll probably eventually want to try real money gambling instead. After all, that's the only way you can win actual money! 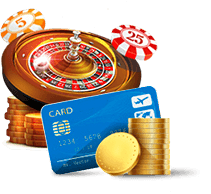 As you'd expect, these cards are a popular option for online casino deposits, as they are fast, secure and simple to use.. These sites, which include popular options like Neteller and Skrill, require you to open an account with them. From there, you can fund your account using a credit card or bank account, after which you can use your e-wallet to make both deposits and withdrawals from most Internet gambling sites. Many banks now participate in programs that allow you to use your online banking system to securely fund your online gambling accounts. These programs are usually regional in scope; in New Zealand and Australia, the program you'll be looking for is POLi, which works with many major banks in both countries. Before you make a deposit, be sure to check what promotions are being offered by your casino. Chances are that there's at least one welcome bonus designed to give new players some extra cash they can use as they start their casino career. In most cases, welcome bonuses are tied to the size of your first deposit (which is why they are often referred to as "first deposit bonuses). For instance, a casino might offer you a 100% matching bonus of up to $500. This means that every dollar you deposit will be matched 100% (or dollar for dollar) by the casino, but only up to $500. You can deposit more than that, but the bonus will never get larger than the maximum allowed. There are two different kinds of bonuses depending on what casino you are playing at. A cashable bonus is one where you can keep any leftover bonus money after you've met the casino's wagering requirements – a set of rules that determines how much you must play before the bonus is "cleared." A sticky bonus, on the other hand, disappears once you've cleared it – though you can still keep any winnings you've earned from your play. Sticky bonuses tend to be bigger, though cashable bonuses are more valuable on a dollar-for-dollar basis. Be sure to check the bonus terms and conditions to see if you can play your favourite casino games while clearing your bonus. Often, the main casino bonus will only allow you to play pokies, keno, and a few other games while you are clearing the bonus. However, there may be alternative bonuses that are designed for video poker or blackjack players in these cases, so always look to see what all of your options are before accepting any bonuses.